2003 – Absolutely Fish named “Retail Store of North America″ by PetProduct News! 2007 – Ocean Conservancy makes Absolutely Fish their retail spotlight for Contributions and Commitments to ocean conservation. 2017 Our first major contribution to science. Developed “The Great Hammerhead Study” SAT migration. 2018 Awarded Honorable Mention “Coolest Pet Store” in USA by Pets Plus Magazine. 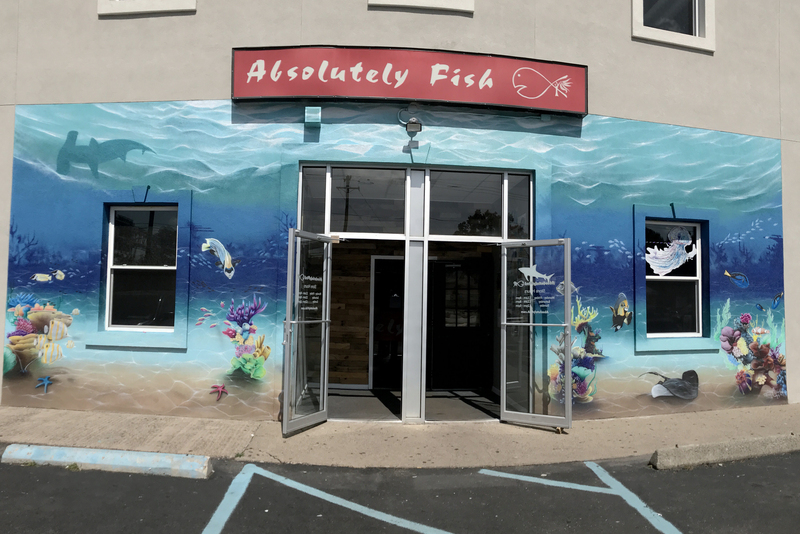 Absolutely Fish is one of the largest retail fish stores in the state of New Jersey. We house over 9,000 gallons of marine fish and invertebrates, as well as 5,000 gallons of freshwater fish from around the world. 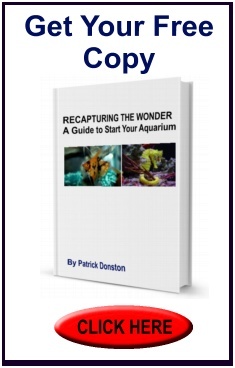 We are exclusively an aquarium center, carrying no other live animals except fish. We care about our fish. Absolutely Fish has been in business for over 18 years and is viewed by many as one of New Jersey’s premiere fish stores. We are listed as one of New York City’s picks when visiting the area. Our clientele, although mostly local, has traveled from Philadelphia, Syracuse, New York City and even Boston. We specialize in high-tech aquarium systems and hard-to-find fishes from around the world. We have been know to carry Australian fishes with a retail value of $5,000 per fish. For parts and equipment that can’t be found anywhere else, people come to us because in all likelihood, we’ll have it! We have the largest selection of African cichlids, corals, marine sharks, rays and South American catfish in the tri-state area. It it has to do with fish, we have it, or we will go out of our way to get it. See manufacturers we carry. Our expert staff is way ahead of the competition. It is one thing to have the merchandise, but our staff can design and build systems as well as troubleshoot problems that most other pet stores would not even be able to begin to address. 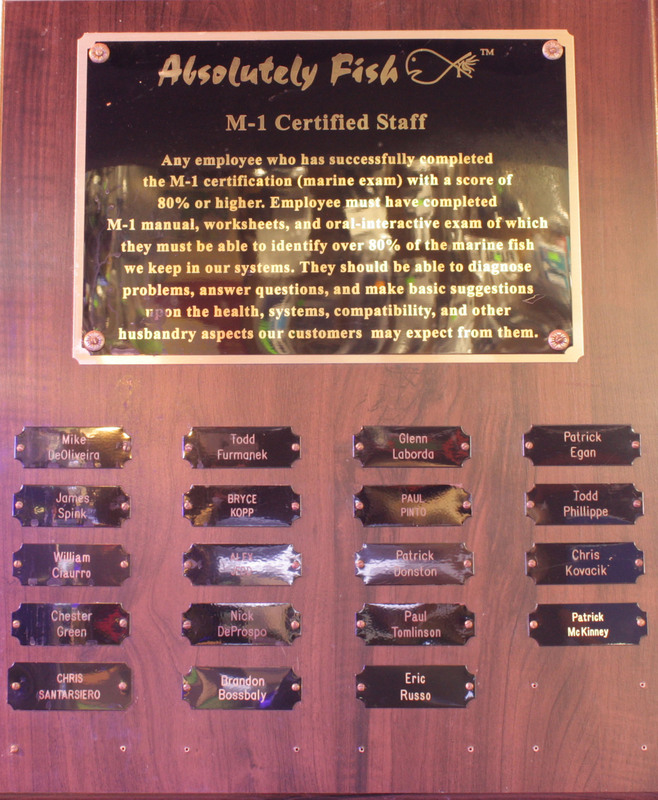 The staff at Absolutely Fish consists of 10 full-time personnel with bachelor degrees in Marine Sciences or Freshwater Fisheries Management, 9 full-timers with at least six years experience in aquarium keeping and husbandry, and approximately 12 part-time employees, mostly students studying biology or the aquatic sciences. Service, quality, selection and attention to detail are what draws our customers in faithfully. Did you know, the Aquarist here at Absolutely Fish are required annually to take continuous Aquatic-Professional courses. Animal diversity testing and certifications are performed yearly. We believe in keeping up to date with new trends, theories, and equipment. We wish to aid-teach and serve you better with all of your aquatic needs. 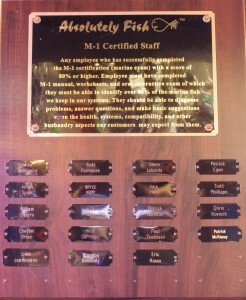 Our M-1 certification program is equivalent to a micro college course. The classes require a commitment of approximately 3 month and candidates must pass a series of exams scoring 80% or higher to pass. We currently have 19 M- 1 certified staff members and 10 professional Aquarist board certified.